When you need to recruit, do you follow a specific procedure? Do you have effective shortlising criteria? If not, you may end up with problems, waste a lot of time and money or employ the wrong person. It only takes some simple, common-sense steps to ensure a smooth recruitment process. Read on to find out more about how and why you should develop effective shortlising criteria for successful recruitment drives. Why should you develop a process? Behavioural competencies – e.g. an accountancy role needing evidence of influencing at Board level. When deciding on the ‘essential criteria’, you could also include ‘desirable criteria’. This helps to distinguish between candidates who meet only the essential criteria for the role, and those who offer additional relevant qualities. Asking others to help you develop the shortlisting criteria provides useful discussion to identify ‘essential’ versus ‘desirable’ criteria. Next, assess applications against the shortlisting criteria to screen out unsuitable candidates. One screening option is to conduct brief telephone interviews with applicants as a second screening stage, after establishing that candidates satisfy the basic qualifying criteria for the role. Telephone interviews can be time consuming, but are useful for telephone-based roles, such as a call centre adviser, as you have an opportunity to assess applicants’ verbal communication skills. 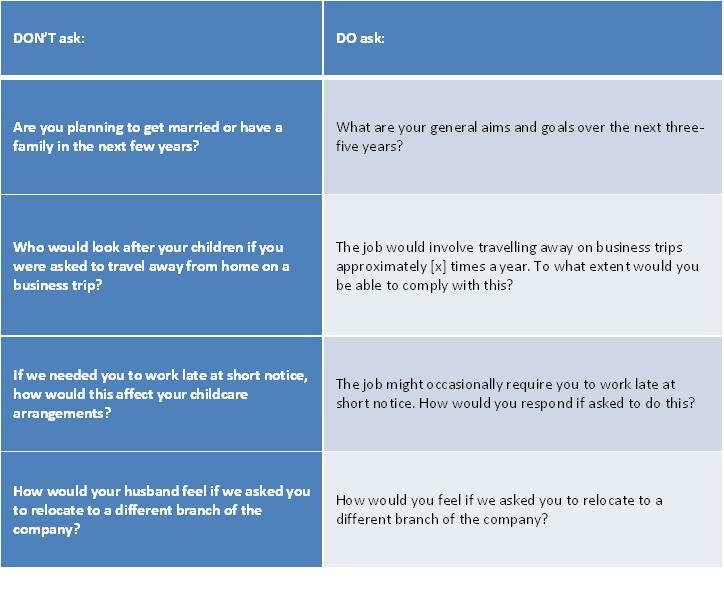 A script setting out what questions to ask will help to ensure consistency across all candidates. You may also want to use a telephone screening interview to establish or confirm any queries you may have on their application and to assess the verbal communication skills of the candidates. At this early selection stage, a 20-minute telephone conversation should be sufficient. The next stage is to shortlist candidates. An assessment form will help the shortlisting panel to record the relevant evidence in support of its decision, and proves you carried out a systematic approach. The categories listed should relate to the shortlisting criteria for the role; for example, qualifications, work experience, level of responsibility, competencies and salary level. Include a section for comments to highlight areas to probe at the next selection stage for shortlisted candidates. A scoring and weighting system helps the shortlisting panel to rank candidates in an objective and consistent manner. Rate each candidate against each category of the criteria using the rating scale 1-5, with 5 indicating that the applicant ‘exceeds requirements’ and 1 indicating that he or she ‘just meets requirements’. Next, apply weighting to your shortlisting criteria by attaching different levels of importance to certain criteria according to its level of relevance to the role. Use a simple 1-3 weighting framework where 3 indicates ‘very important’, 2 indicates ‘important’, and 1 means ‘quite important’. Once candidates have been allocated a total score, they should be ranked in order of their scores. Using appropriate shortlisting criteria helps to avoid bias and discrimination. Without criteria, your organisation may end up with an unsuitable pool of candidates, and claims of discrimination will be harder to defend. To help prevent this, ensure that only relevant information is considered by removing all personal information on CVs and application forms prior to shortlisting. One potential challenge relating to discrimination is length of experience. Asking for a minimum number of years’ experience can lead to age discrimination, as a younger job applicant has not had the opportunity to accrue a specific number of years in a role. Further, shortlisting candidates based on years of experience could mean discriminating against women who took time out to raise children, or applicants who needed time away because of a disability. Therefore, consider what a candidate with the relevant experience should be able to do and define the job requirements in those terms when developing the shortlisting criteria. And finally, to prevent bias and discrimination, avoid making assumptions! The shortlisting process should consider the evidence supplied by a candidate to demonstrate how they meet the shortlisting criteria – don’t make assumptions not based on factual evidence. Register Now for the Autumn Employment Law Update Workshop! If 25 October 2018 isn’t in your diary already, put it in now! Not only will you be able to learn about the latest changes in Employment Law, but you will also benefit from hearing Jenny Collis, of Fit&Able, speak about keeping your employees healthy at work. Back and neck pain, and upper limb symptoms are the most reported musculoskeletal complaints in the workplace. As an Occupational Health Physiotherapist, Jenny will highlight the most common complaints, review your employer’s obligations and provide strategies and solutions for management in the workplace. This is one not to be missed. Running from 9.30am to 1pm, the venue is The Meeting Room at Hennerton Golf Club in Wargrave, Berkshire, and the cost is just £20 plus VAT to include refreshments. For more information, click here, or to go direct to our Eventbrite page and book online there. Recently I’ve been helping some clients sort out problems that have arisen because they didn’t carefully think through their recruitment process, when they were taking on new members of staff. There’s a great deal that you can do to avoid the problems, so in this issue of my newsletter I’m going to cover some of the basics of getting recruitment right – especially if you’re taking on your first member of staff. We’ll look at how to find the best person, then we’ll look at what to do when they start working for you and finally I’ll talk about what to do at the end of their probation. This three stage process will help you find and keep hold of the best people for your business – and avoid some costly pitfalls! So your business is growing and you’re getting busier and busier. You’re working longer hours, just to keep up with the work and the demands of your clients. You don’t want to turn business away, so you keep working all the hours you can, including evenings, weekends and holidays. Eventually, when your friends and family are really fed up of not seeing you and you’re completely exhausted, you decide it’s time to take on your first member staff. Click here to see what you should do next. Part Two – How do make sure they get off to the best start? Recruitment can be a long, expensive and time consuming process. After all the effort of finding the right person to join your team, you want to help them settled in as quickly and smoothly as possible. Some new staff have been known not to show up after the first weekend, or even on their second day and you don’t want that! Particularly if you’re taking on your first member of staff, take the time to plan their induction. Make sure they have somewhere to sit and a computer to work at – if that’s part of their job! Find out what to include in your induction training here. Part Three – What do you do at the end of their probation? The first thing to do is to make sure that you have actually agreed a probationary period with your new employee. Three months is the minimum and works well for simple jobs, but this can go very quickly. A six month probationary period is a good length of time for you to decide whether or not you want to keep your new employee within your business. Click here to see what else you need to do at this stage. Recruiting can cost a lot in terms of time and money; getting it wrong can cost even more. You can avoid the pitfalls by following this advice. If you have any specific questions about recruitment for your business, do get in touch. In three blog posts I’m covering some of the basics of getting recruitment right – especially if you’re taking on your first member of staff. First we looked at how to find the best person (click here if you missed that post or would like to read it again.) In Part Two we covered what to do when your new recruits start working for you, which you will find here. In this blog, the final part of the series, I’ll talk about what to do at the end of their probation. This three stage process will help you find and keep hold of the best people for your business – and avoid some costly pitfalls! The first thing to do is to make sure that you have actually agreed a probationary period with your new employee. Three months is the minimum and works well for simple jobs, but this can go very quickly. A six month probationary period is a good length of time for you to decide whether or not you want to keep your new employee within your business. The next thing to do is to book a meeting with your member of staff, once a week during their probation period. Put something in the diary at the same time every week for a few months, especially if you don’t work closely with them. If you don’t see them every day, then this is a good way to check in with them. It’s your chance to find out how they’re getting on – are they reaching their targets, or are there parts of their role that they’re struggling with? What happens if they reach the end of their probation and you’re not happy with their progress? You need to take action! You can extend their probation period, to give them time to work the performance issues you’ve identified. If you’d been having regular meetings, you’ll know early on if there’s something wrong and be able to do something about it. Don’t leave it until the end of their probation period to tackle an issue, or spring the surprise on them! And if you are both happy? Then you’ve got a fully fledged new member of staff on your team. But don’t think that you can just sit back and relax! Being a boss/manager of people is an ongoing job that doesn’t finish at the end of probation. We’ve talked more about useful tools like appraisals, performance plans and setting targets in other blog posts – just use the search box on the front page of this blog to find what you’re looking for. If you have a specific question about one of your employees, do get in touch for a chat and some advice. In three blog posts I’m going to cover some of the basics of getting recruitment right – especially if you’re taking on your first member of staff. Last time we looked at how to find the best person (click here if you missed that post or would like to read it again.) In Part Two we’ll look at what to do when your new recruits start working for you and in the third blog, I’ll talk about what to do at the end of their probation. This three stage process will help you find and keep hold of the best people for your business – and avoid some costly pitfalls! Part Two – How do you make sure they get off to the best start? Particularly if you’re taking on your first member of staff, take the time to plan their induction. Make sure they have somewhere to sit and a computer to work at – if that’s part of their job! Training evaluation, including confirmation of understanding and feedback about the quality and response to the training. Acas has produced a very useful Induction Checklist which will give you more ideas on what to cover during induction. You can download it here. In Part Three of this series we’ll talk about what you need to do once your new recruit (who really is the right person and has started off well) reaches the end of their probation period.